NYC'S FIRST VEGETARIAN DINER (EST. 1972), OPEN SUNDAYS! 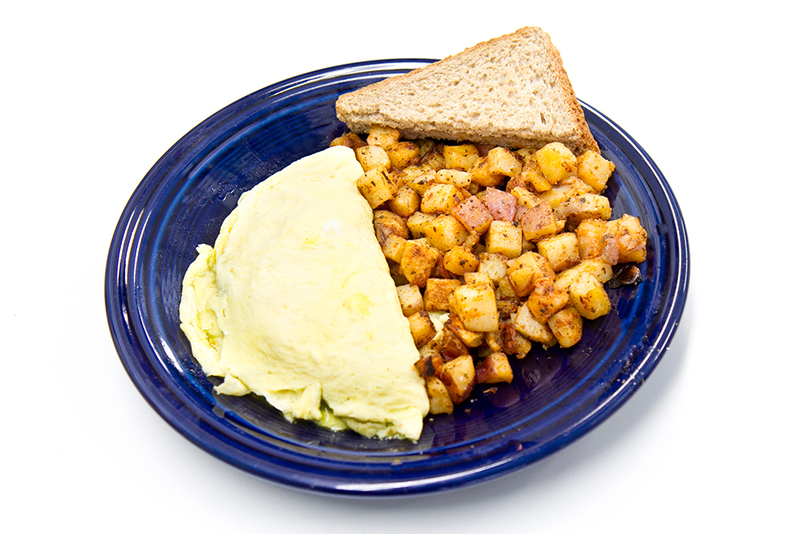 All of our egg dishes are served with seasoned home fries and toast. Two eggs, your way, plus two slices of soy bacon and two small pancakes. Three eggs scrambled with cheese and two pieces of soy sausage. Two eggs scrambled with spinach, sundried tomatoes, pesto and feta. 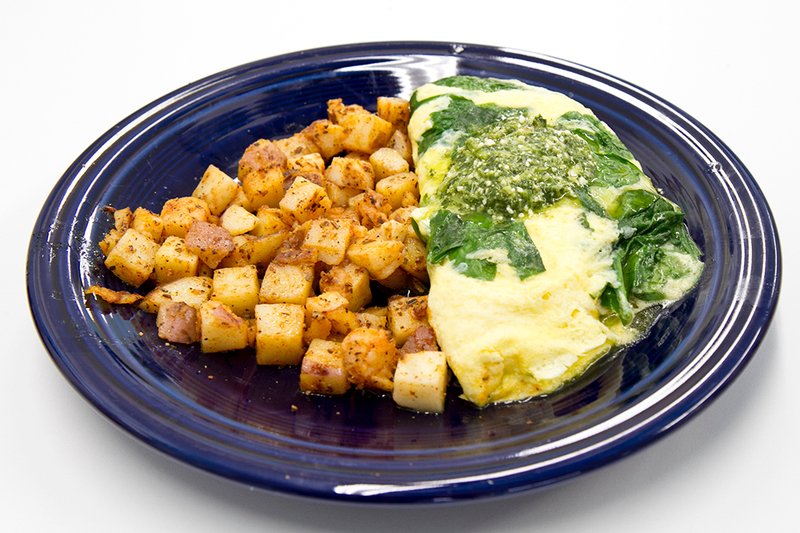 Our omelets are pan fried, light and fluffy. All are served with seasoned home fries and toast. Our 3-egg omelette with your choice of cheese. Fresh spinach, grilled onions, tomatoes, feta, and kalamata olive covered with basil pesto. Mushrooms, onions, tomato, and zucchini with your choice of cheese. Basil pesto and goat cheese makes this one a popular favorite. Chunks of soy sausage with smoked gouda cheese. Three eggs with Cheddar, guacamole, sour cream and salsa. Served with home fries and toast. Create your own Omelets 5.75 (3 eggs) or Scrambles 4.75 (2 eggs). Veggie Ingredients .75 each – Broccoli, Onions, Mushrooms, Tomatoes, Zucchini, Sun dried tomatoes. Cheeses 1.10 each – Cheddar, Swiss, Feta and Smoked Gouda. Special Ingredients 1.45 each – Organic tofu, Soy sausage, Soy bacon, Basil Pesto, Goat Cheese. 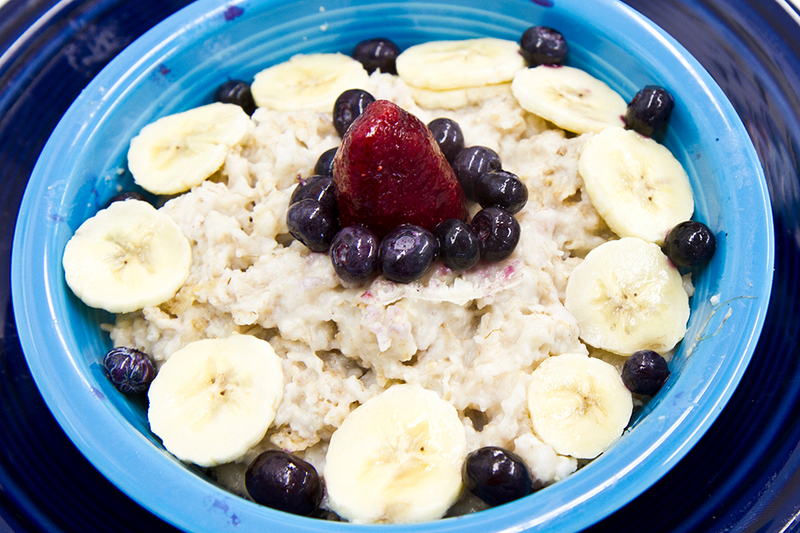 Our homemade oatmeal with bananas, blueberries and walnuts. Our pancakes are multi‐grain and gluten free. Three of our delicious pancakes piled high! 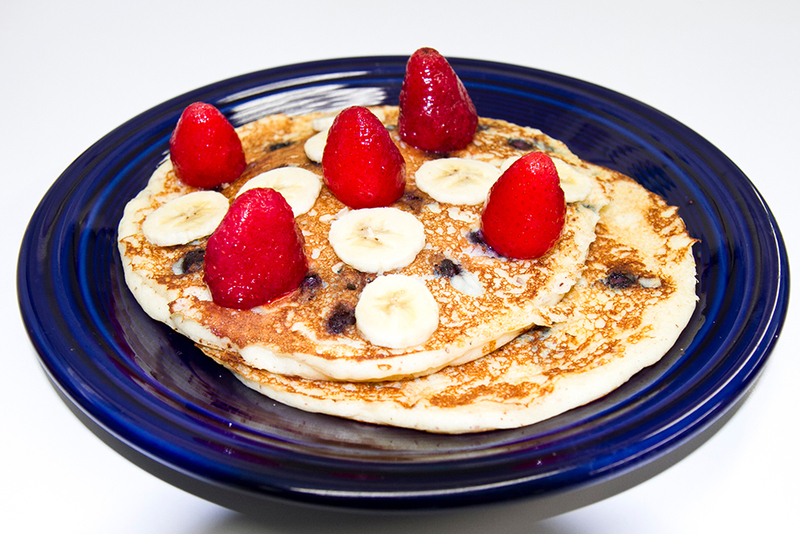 Our pancakes with bananas, blueberries and walnuts. 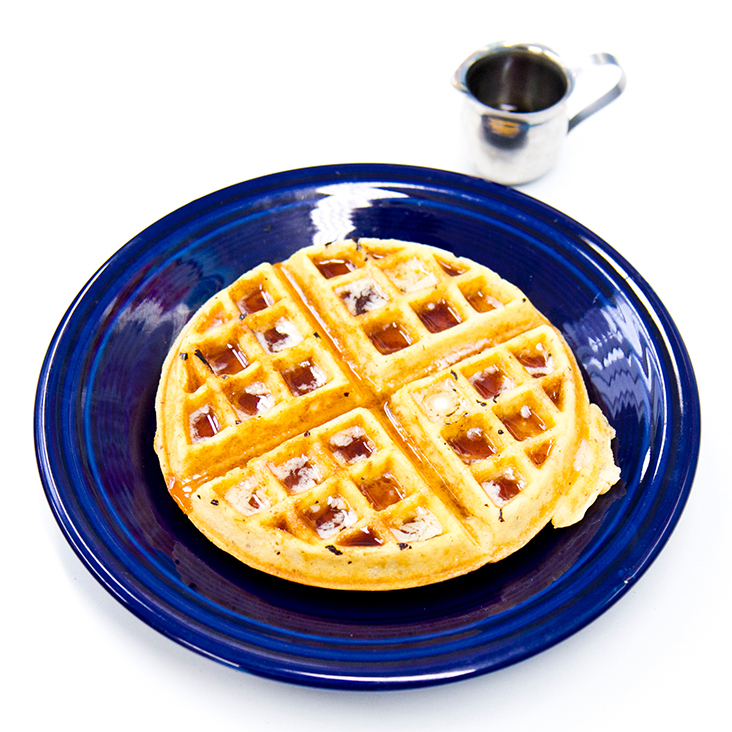 Our waffle topped with bananas, blueberries and walnuts. 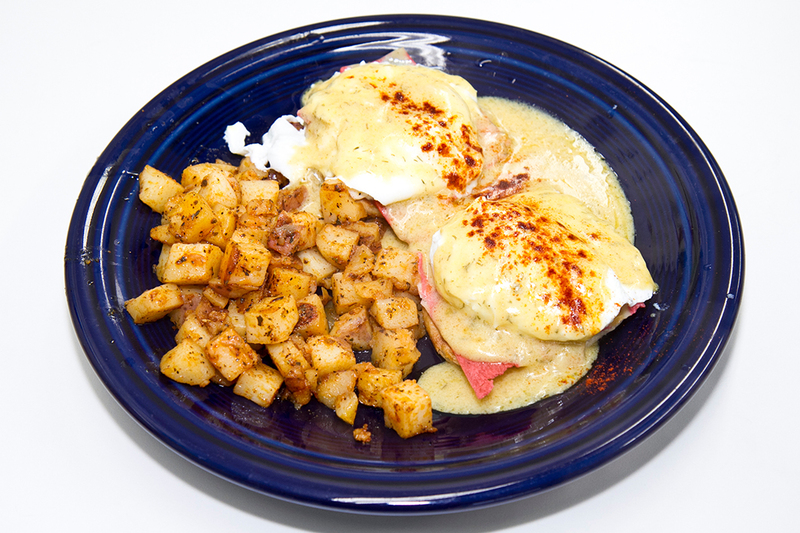 An English muffin served open faced with 2 poached eggs, 2 slices of soy bacon and covered with our own special hollandaise sauce, served with home fries. An English muffin served open faced with spinach, two poached eggs, and covered with our own special hollandaise sauce, served with home fries. 2 grilled corn tortillas toasted with cheese, covered with black beans with 2 poached eggs on top. Our Rancheros with guacamole, fresh salsa and sour cream. Marinated tofu, broccoli, zucchini, mushrooms, onions, minced garlic, spinach, and tomatoes grilled together and served with home fries and toast. Available with Mexican, Indian, Cajun or herbal flavors. 2 scrambled eggs, black beans, cheddar, brown rice and sour cream wrapped in a flour tortilla. 2 scrambled eggs, black beans, brown rice, cheddar, sour cream, guacamole, fresh salsa, lettuce and tomato in a flour tortilla. 2 scrambled eggs with bacon, mayo, cheddar on your choice of roll or English muffin. One egg, soy bacon, on an English muffin.